Throughout my experience, I've had the privilege of creating pieces for clients from several industries like Accenture, the Memphis Zoo, Circuit City, Blue Heron Executive Search and more. Below are some examples of work that I've done for these clients both as a freelancer and within the agencies. Contact me if you'd like to see more samples. 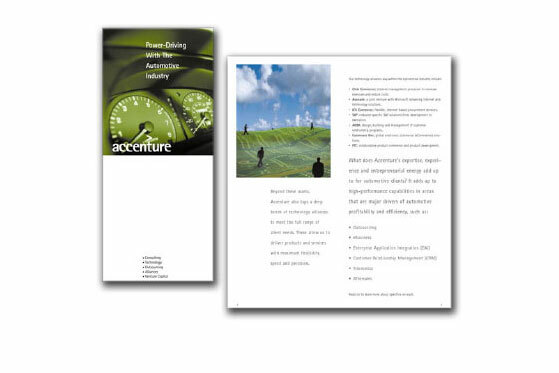 The Automotive brochure was the first time we were able to change the format from what we usually created for Accenture. The smaller format was well-recieved because it was something that agents could easily distribute and still looked clean and impressive. Because of my knowledge of the brand and that my designs were chosen most often, I became creative lead at Good Advertising on the Accenture account. I enjoyed working on the account because the strict brand made it a welcomed challenge to come up with different ways to create pieces that stood out while also fit within the brand. 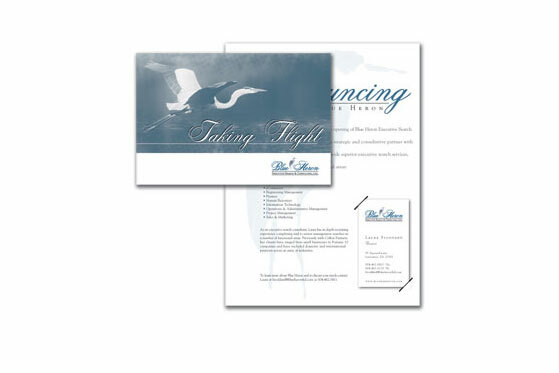 This is an announcement card for Blue Heron Executive Search & Consulting. Again, keeping in mind, the limited budget, I built up the brand by using a duotone and a lot of white space. The card also included a diecut to allow for a business card to be inserted, without detracting from the design or covering up any information. 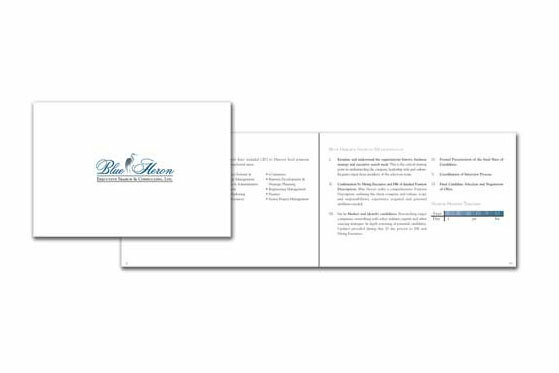 This is a brochure for Blue Heron Executive Search & Consulting. 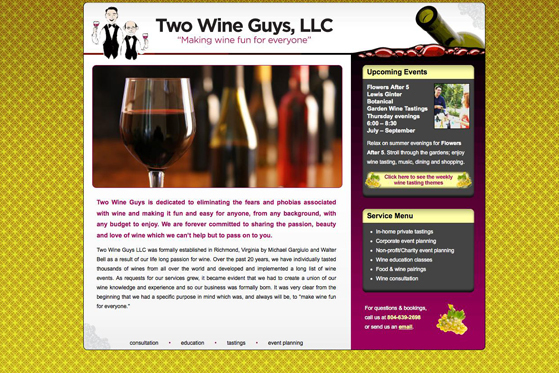 Using few images, limited color and a lot of white space allows for a clean look. 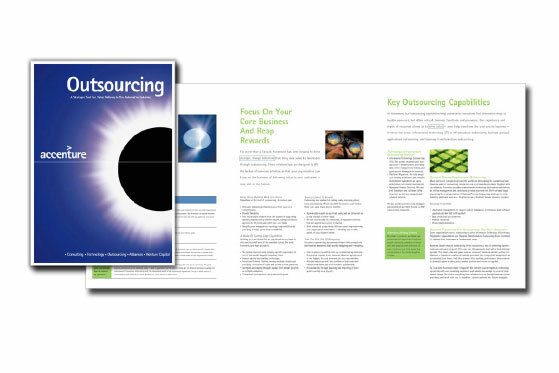 This brochure is ideal for a leave-behind because it’s designed for constant updates. A pocket is diecut in the back cover to allow for supplement cards for updated information to be inserted. 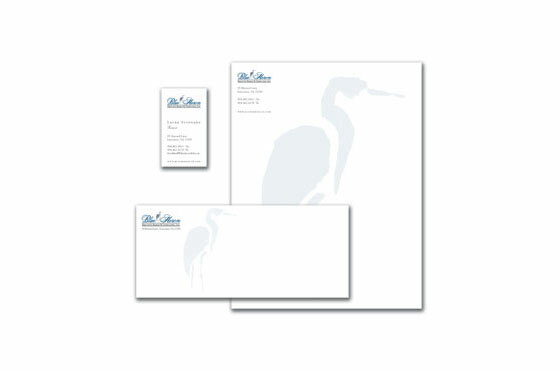 This is the stationary for Blue Heron, a Virginia-based executive search & consulting company. As a start-up, they had a very limited budget. Keeping that in mind, I created a system that used heavy stock, a lot of white space and limited color to keep the costs down, which allowed for a crisp clean look. 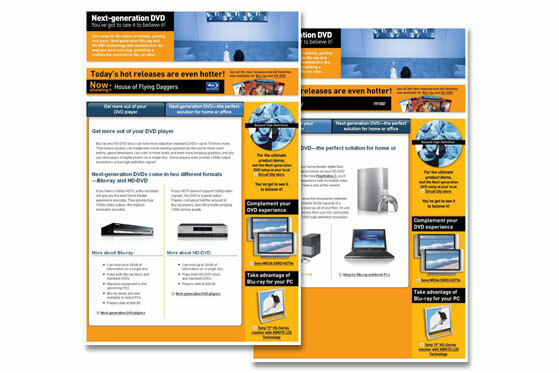 This page was created to help inform consumers of the new video technology in Blu-ray and HD DVD. Since this page was created, the battle between high-definition DVD technologies has since been won by Blu-ray. However, at the time they were first introduced, they technologies were pretty evenly matched. 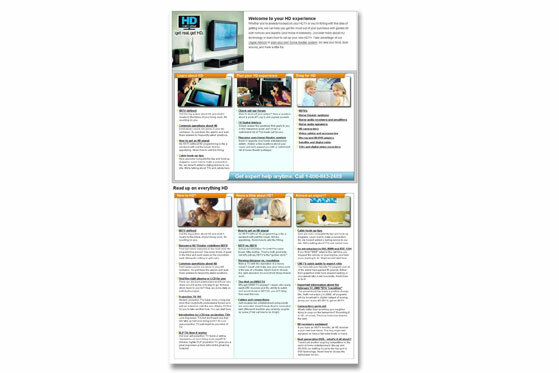 This page showcased the technology, what products they appeared in, and how they work with a customers HDTV. The colors broke the typical Circuit City palette to help incorporate the palette of the brands we were showcasing. Also, because of the amount of information, I added a tab system to allow the information to be accessed without weighing down the page. There was also a dynamic Flash module added to show the current Blu-ray and HD DVD movies available. 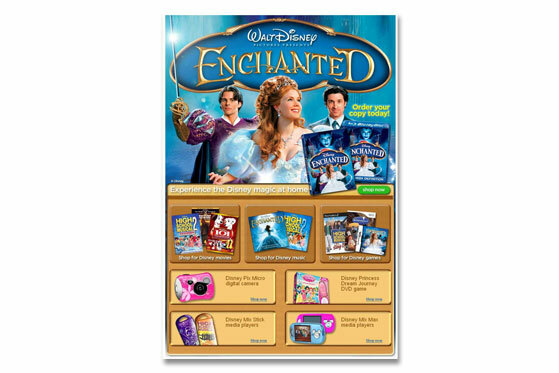 This landing page was created to promote the release of Disney’s movie, Enchanted on DVD and Blu-ray. I used graphics received from Disney as a springboard to incorporate other products into the page to help cross-sell other Disney products. Consumer Electronics are not necessarily products that are seen as being “green”. As part of a corporate campaign to bring light to green products, this special landing page was created. It consisted of products with biodegradeable packaging, energy saving and solar-powered products. 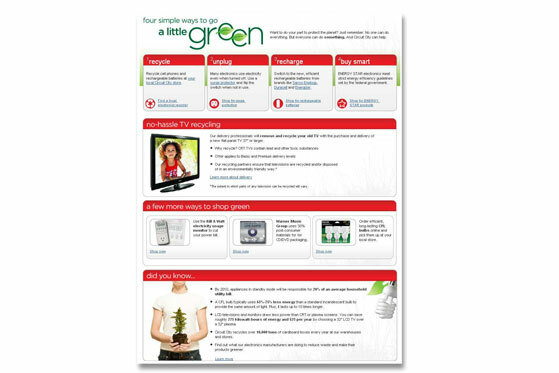 The page also housed educational content to inform consumers of steps they can take to help the environment. I designed the page and logo treatment by adhering to the Circuit City styleguide. However, because of the nature of the page, I was afforded a little leniency and was able to add extra color as well as using imagery that focused less on technology and more on helping the environment. At the time, it was a new technology and there were a lot of question floating around regarding the benefits of HD. 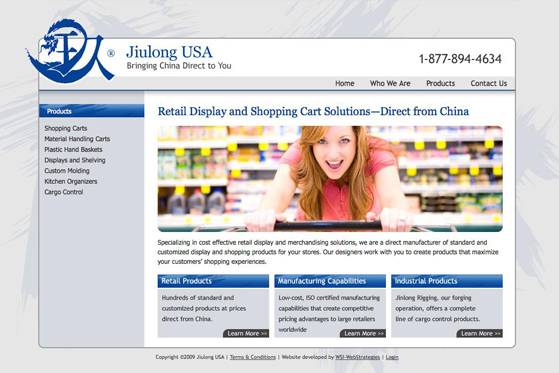 This page was created as a springboard for information to allow consumers to find out all they wanted to know about HD. 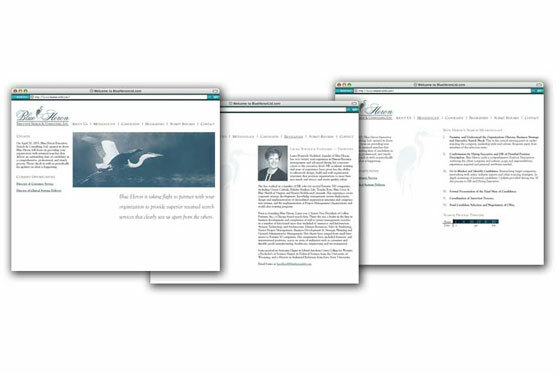 This page was a phase that later led to the creation of a full microsite dedicated to HD and the home theater. 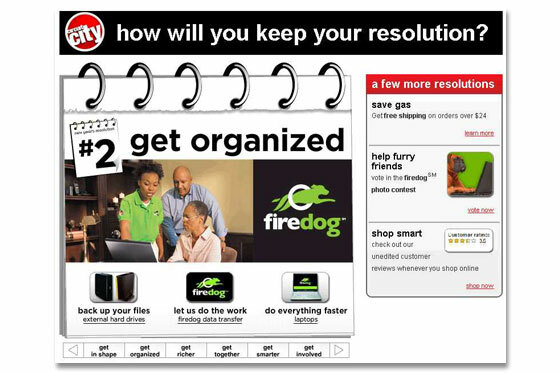 I worked closely with one of our copywriters to come up with a solution to give a web presence to firedog’s Get Organized New Year’s Resolution campaign. The concept of incorporating a calendar in the logo treatment was created by the corporate brand team. 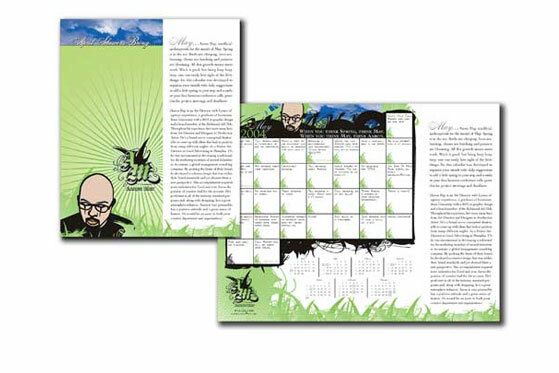 However, we took that idea and, with the help of one of our developers, incorporated the calendar into an interactive treatment. There were 6 “resolutions” that we came up with. And, to navigate through them, the pages of the calendar tore out to reveal another resolution underneath. 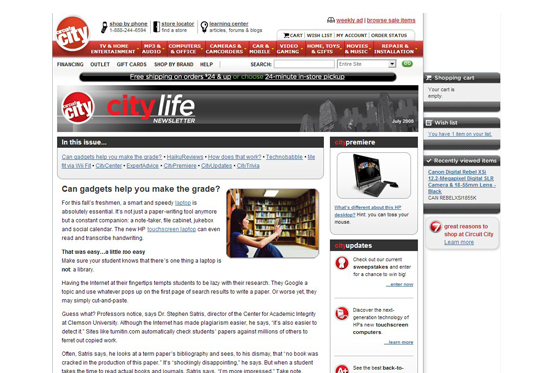 The CityLife Newsletter was different from many of the projects I had while at Circuit City. Instead of focusing on the direct sale of products and services, the newsletter was geared more towards how technologies and consumer electronic products could help people in their lives. We had articles, haiku entertainment reviews and updates of sweepstakes and events going on at Circuit City. I even dusted off my writing skills in a few issues as I gave my experience with the Wii Fit and the game, The Force Unleashed. Every week or two, Circuit City had a sweepstakes. 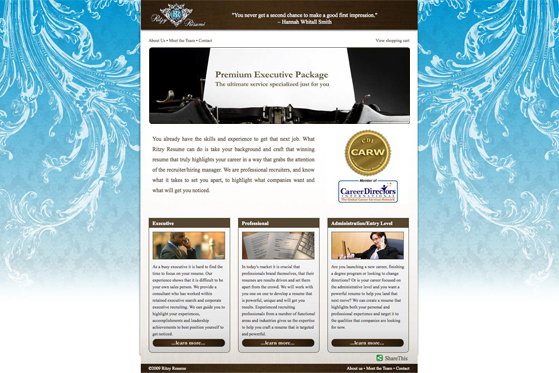 Because of the tight deadlines, my job was to take the prizes and, working with a copywriter, come up with a theme and then create a look that would both adhere to our brand, yet stand out on our site. 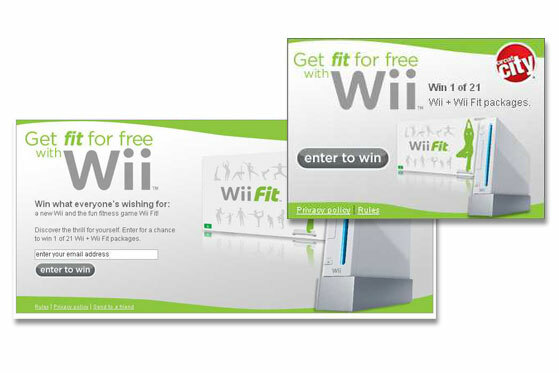 Prizes ranged from gift cards to iPods to digital cameras to Wiis and Xboxes. This is one of my current freelance projects. This is the logo for an online resume writing service. They asked me to create a logo that was elegant and classic yet also feel modern. This was a self-promo calendar with my resume attatched. Each date was like an advent calendar with sayings and requests to help others as well as incorporating cues for setting up interviews and other things to keep my name in people’s mind. This self-promo piece expanded on the idea that even though we’re all grown up and working, we’re still able to play while at work. 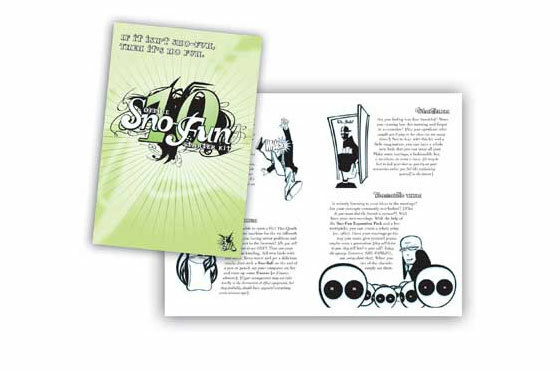 This card came with a small bag of marshmallows and gave instructions on how people could bring outdoor fun with snow into the office. It was geared toward the advertising community by incorporating office scenarios into the fun. This is a viral card for Valentine’s Day. The idea was that one would recieve the card, originally signed by me. They would then sign the card and pass it along to someone else. That way, by the end of the day, everyone in the office would have recieved a Valentine’s Day card. 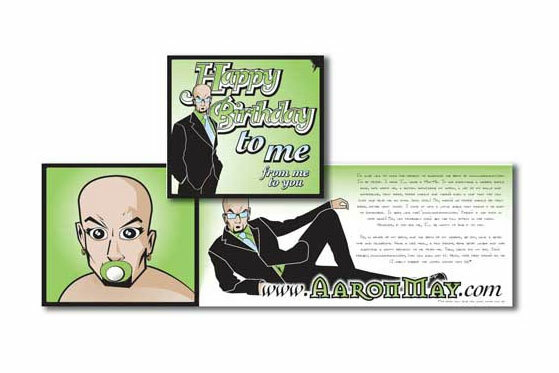 This was an announcement card for the birth of my first website, which offically launched on my birthday. I decided it would be an interesting and different idea to actually give away a birthday card on my own birthday instead of receiving one. This was my first self-promotion piece when I moved to Richmond. 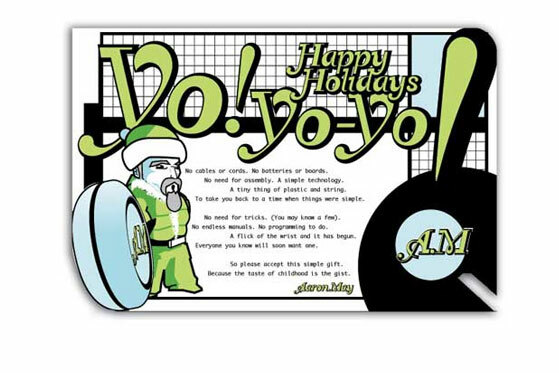 The card came with a branded yo-yo to help get my name out to the RIchmond Advertising community. A lot of my self-promo pieces involve fun and playful ideas. Since most toys nowadays involve using batteries and have become very complex, I liked the idea of going back to a simple toy that nearly everyone has experienced at some point in their life. 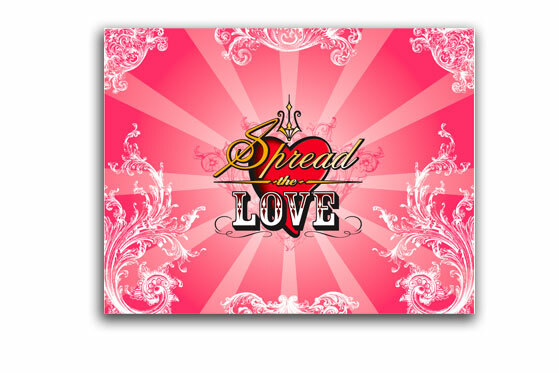 The brochure was created as a handout within area Circuit City stores to spark awareness of this new service. 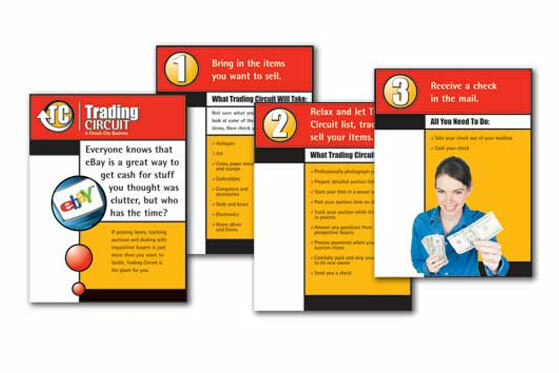 I used a simple 1, 2, 3 approach to show potential customers how easy it was to use Trading Circuit to sell their items on eBay. After my first contract with Circuit City ended, I was brought on to create the logo and business materials for a new venture. 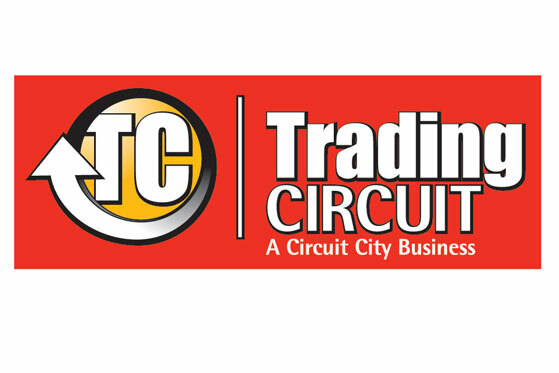 Trading Circuit was a subcompany of Circuit City which took advantage of the boom of people wanting to eBay, but either didn’t have the time or the experience. 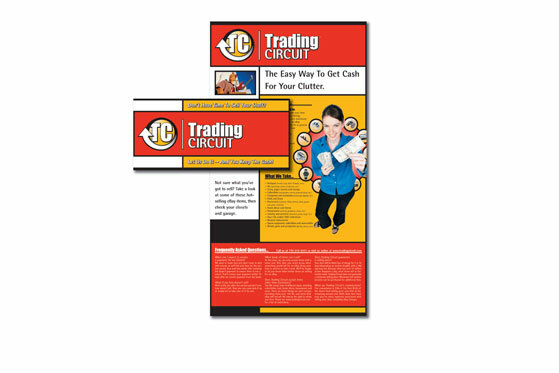 Trading Circuit was rolled out in a few markets to help people sell items through eBay. Because Trading Circuit was set up to be housed within current Circuit City stores, I created a look that both worked with the Circuit City brand, but also stood out from it, using a similar palette and font treatment. 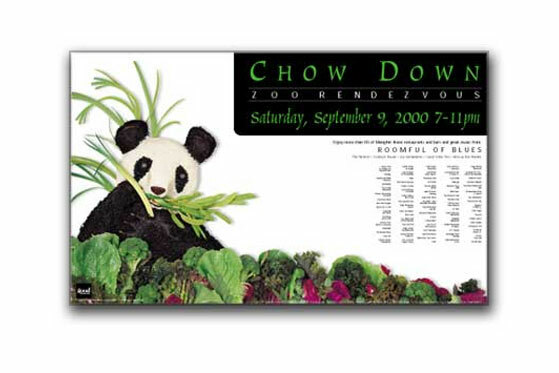 This is the poster for the 2000 Zoo Rendezvous. An annual fundraising event for the Memphis Zoo with the support of local bars and restaurants. Because this is an event centered around food, the idea is to use food to create the scene for the featured animal or idea. In 2000, the zoo was raising money to help fund a panda habitat. 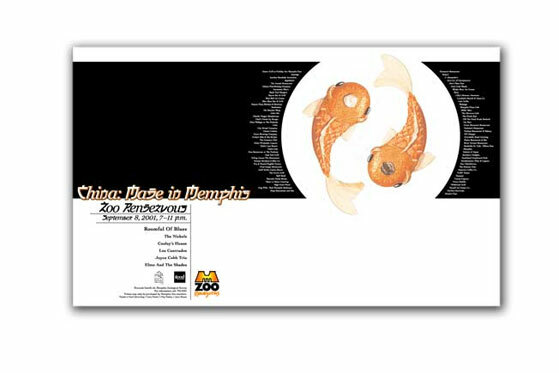 This is the comp for the 2001 Zoo Rendezvous poster. The idea was to raise money for the new China exhibit, so I decided to change how the food was used over previous years. In past years, the food was used merely for color and texture. With this design, I wanted to create the image with very few ingredients, and have those ingredients work together as something that could also be appetizing, using pickled ginger and oranges.